Who doesn’t want a smooth ride to and from the airport? 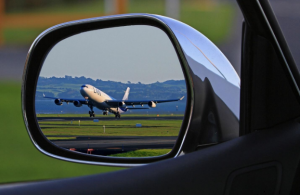 When you choose private airport transportation from Silk Road Transportation, you and your guests can look forward to hassle-free, comfortable transportation, and the best service around. So, what can you enjoy when you book our airport transportation services? We’re not just saying random things. We have structured our private airport transportation service to ensure we can adjust to your ever-changing schedule. So, when you order your transport, you can count on us being there on time, every time. We don’t transfer you to and from the airport or Amtrak in any old car. Our fleet consists of luxury vehicles to ensure you enjoy the most comfortable ride, no matter where you need to be. What’s more, our drivers are professionally presented, and they know how to get you to your destination without a hitch. Now, that’s a comfortable ride and convenient service! We maintain competitive rates. You won’t get any uncomfortable surprises or hidden fees from us. Everything is included in the quote. Whether you’re about to step off a plane and are exhausted from your flight, or you want to get to the airport or Amtrak with ample time and minimal hassle, we’re here to help. Our private airport transportation is all about comfort and style. Our chauffeurs are hand-picked and have exceptional local knowledge, so you can sit back, relax, and enjoy the ride. Let us remove the stress from airport transportation by meeting you at your desired location and providing a reliable and safe drive to your destination. Book your transportation with Silk Road Transportation today. We’ve got you covered.